Brining makes cooked meat very moist by hydrating the cells of its muscle tissue before it hits the grill. This is done through the process of osmosis. This allows the meat to hold extra water and salt before being grilled, which in turn makes it not only more flavorful, but also more moist. Brining should add about twenty percent more weight to your raw turkey. This is important because food usually loses about twenty to twenty-five percent of its total weight when it is cooked. Therefore, by adding weight into it first, you will be left with a turkey that should weigh the same amount (or close to it) as it did when you brought it home. So if you start with a 20 lb turkey, after you cook it it would loose 20% of its weight and will now weigh 16 lbs. If you brine that same 20 lb turkey you will add 20% weight into it so now you have a 24lb turkey, when you cook it it will loose 20% and will now be closer to the original turkey weight of 20 lbs. 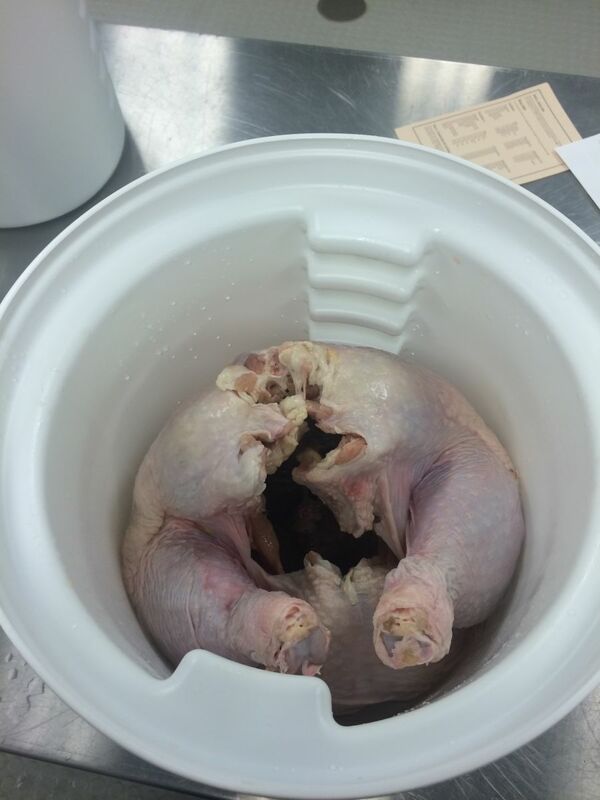 Many think that when adding extra flavors to the brine, they will penetrate into the turkey for a flavor boost. That is not the case. Only the salt and water will be absorbed into the turkey. The extra flavors in the brine will sit on the surface of the meat and give you a nice touch of flavor that may make your turkey the best one to date! 1. Pick the right brine for your meal. Here are some from weber.com. 2. Make sure you have a certified food grade container/bucket with a lid. You will need to look for the food safe symbol on the container. 3. Make sure you have enough room inside the fridge beforehand. Also, try to clear a space closer to the bottom if possible because the turkey in a bucket of brine could be very heavy. 4. 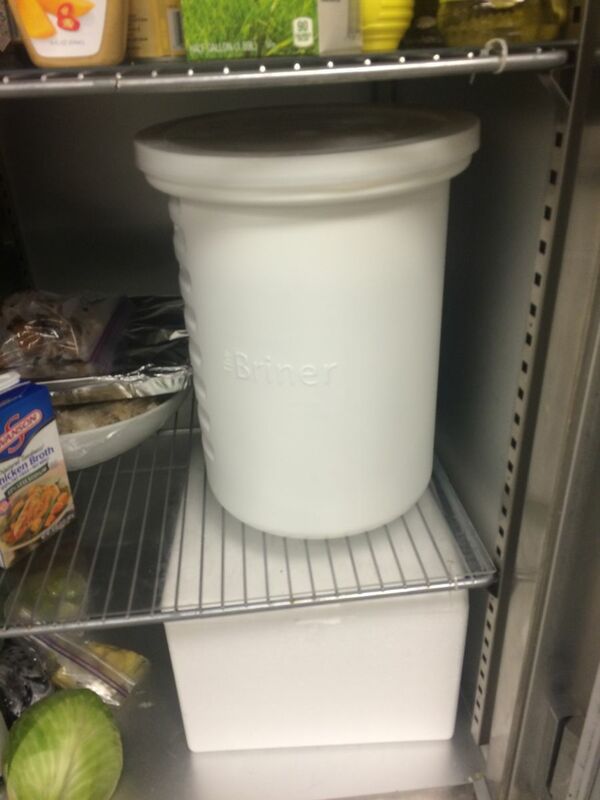 Always make sure you let the brine cool before adding it to the bucket and turkey. 5. When your turkey is out of the brine, do not rinse it in the sink. This will spread turkey bacteria all over your sink, counters and kitchen. Just pat it dry with some paper towels. Get more of our top turkey tips here. Share your best turkey with us this year on social media by using #bestturkeyever! As always, Happy Grilling!